NEW YORK (Thomson Reuters Foundation) - The battle to restrict abortion in the United States, heating up with the election of Donald Trump as president and a conservative Congress, will be waged from the nation's highest court down to state legislatures, activists say. At the top are efforts to overturn the U.S. Supreme Court Roe v Wade ruling that legalized abortion, challenging the landmark decision with cases now in the legal pipeline. Below that are multiple efforts to limit access in the nation's 50 states, activists say. Legal in the United States since 1973, abortion remains a deeply divisive social and political issue. 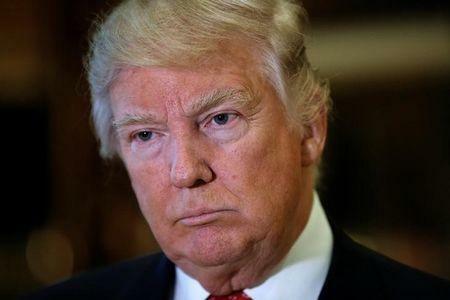 Trump has said it should be largely banned and vowed to appoint an anti-abortion justice to the nation's high court in hopes of overturning the Roe v Wade ruling. "We are greatly concerned about the statements made by the incoming administration," said Janet Crepps, senior counsel in the U.S. legal program at the Center for Reproductive Rights. "They fail to respect and in fact would seek to take away women's fundamental rights to make reproductive decisions." Anti-abortion advocate Tom Fitton, president of Judicial Watch, a conservative foundation, told the Thomson Reuters Foundation: "The perception, I think quite fairly, is that there's going to be a friendlier Supreme Court over the next year or two." Two cases, both in southern states, are at the forefront of new regulations likely to reach the Supreme Court in challenges to Roe v Wade, Crepps said. One is an Arkansas law requiring clinics inducing medical abortions with drugs to contract with a doctor who has admitting privileges at a hospital within 30 miles. Admitting rights are a formal affiliation that can be hard to obtain. Supporters say the law is safety based; opponents say it is an unnecessary means of restricting access to terminations. The Arkansas law is being challenged in federal court, which has not yet scheduled oral arguments. It is similar to a Texas law imposing strict regulations on abortion doctors and facilities that was struck down by the Supreme Court last June. A second set of regulations which may reach the Supreme Court to challenge Rode v Wade are laws passed in Alabama, Crepps said. One bans some second-trimester abortions unless a physician causes so-called fetal demise by drug injection or cutting the umbilical cord. Another bans abortion clinics near schools. The laws are on hold while being challenged in federal court. The case would have to go next to an appeals level before reaching the Supreme Court. "There's also probably going to be a whole bunch more in the pipeline right behind these cases," Crepps said. Cases can take several years to wend through the system. While the current Supreme Court overturned Texas' abortion laws -- a decision hailed by pro-choice advocates -- the court has a vacancy that Trump can fill. Moreover, he could make further appointments, as three justices are 78 or older. "If two Supreme Court justices are appointed who are explicitly opposed to Roe v Wade, that could be overturned," Ann Starrs, head of the Guttmacher Institute, a leading reproductive rights group, told the Thomson Reuters Foundation. Short of overturning Roe v Wade, abortion opponents are expected to introduce smaller measures in states or in Congress, which is controlled by the largely anti-abortion Republican Party. Some states have proposed measures such as fetal heartbeat bills that ban abortion once a heartbeat can be detected, as early as six weeks after conception. "There will be legislatures emboldened to pass more of those types of bills," Litton said. This month, Kentucky lawmakers approved a bill that requires women seeking an abortion to undergo an ultrasound and then listen to descriptions of the image, including the size of the fetus and any visible organs or appendages. The American Civil Liberties Union filed a legal challenge this week to the Kentucky law, saying it is unconstitutional and "forces physicians to deliver a government-mandated, ideological message" to patients. Since the U.S. election in November, abortion rights advocates have also filed challenges to laws restricting abortion access in three other states - Missouri, Alaska and North Carolina. The cases focus on regulations requiring some or all abortions be performed in hospitals or surgical centers, and in North Carolina a ban on abortions after 20 weeks of pregnancy. Some state measures banning abortions after 20 weeks are designed to build a case solid enough to survive legal challenges up to the Supreme Court, said Eric Scheidler, head of the Pro-Life Action League. "That's always the strategy.... Is there a way we can present this to the Supreme Court so that they will strike down or whittle away at Roe v Wade?" he said. "There's a great deal of optimism in the pro-life community."